If you forgot to get all your P&G receipts together and get your rebate in the mail then I have good news. 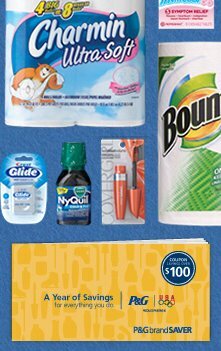 Procter & Gamble has extended their Coupon Booklet deadline to May 31st! I know you have all qualified by now with the awesome Pampers deal at CVS last week and other past P&G deals. If not though you have 2 more months at which point there will be no reason for excuses!! Have no idea what I’m talking about?? That’s okay get all the details on this rebate.